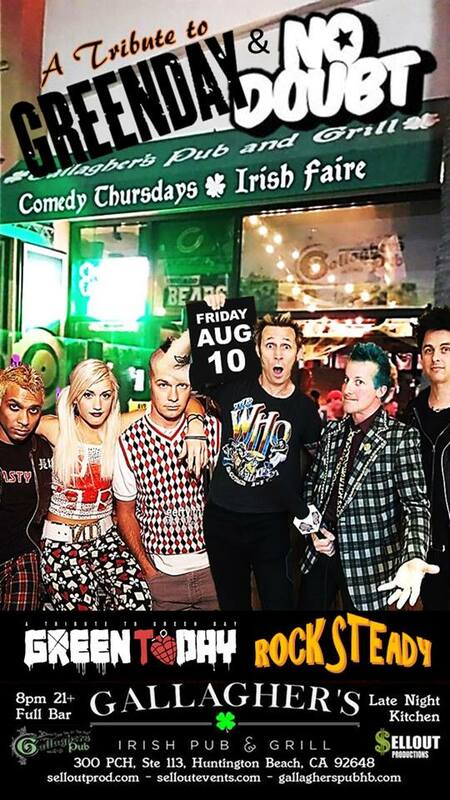 Notes: Get your tickets online at https://ticketf.ly/2MGfBSg for GREEN TODAY (Green Day tribute) and Rock Steady (No Doubt tribute) on Friday, August 10, 2018. Entry is also $10 at the door on the day of the show, but capacity is limited in this intimate venue. 21 & Over. Get your tickets online here for GREEN TODAY (Green Day tribute) and Rock Steady (No Doubt tribute) on Friday, August 10, 2018. Entry is also $10 at the door on the day of the show, but capacity is limited in this intimate venue.